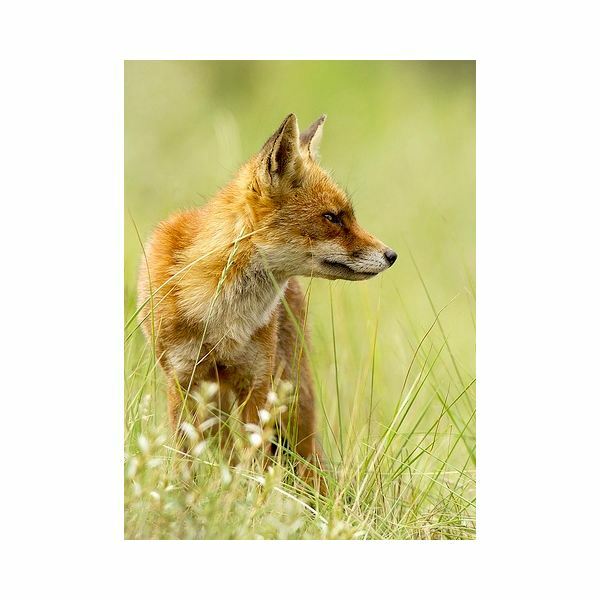 The red fox belongs in the same family (Canidae) as dogs, wolves, coyotes and jackals. Males are referred to as dogs, females as vixens and babies as pups or cubs. 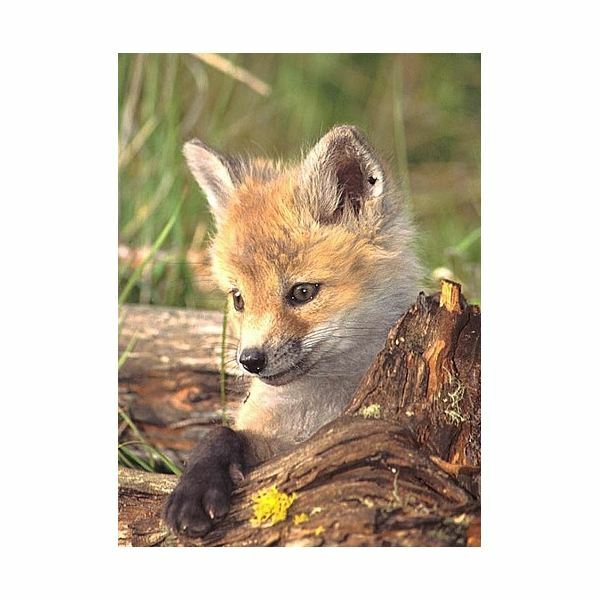 They are the largest of the true foxes and the most widespread of all wild members in the Canidae family. 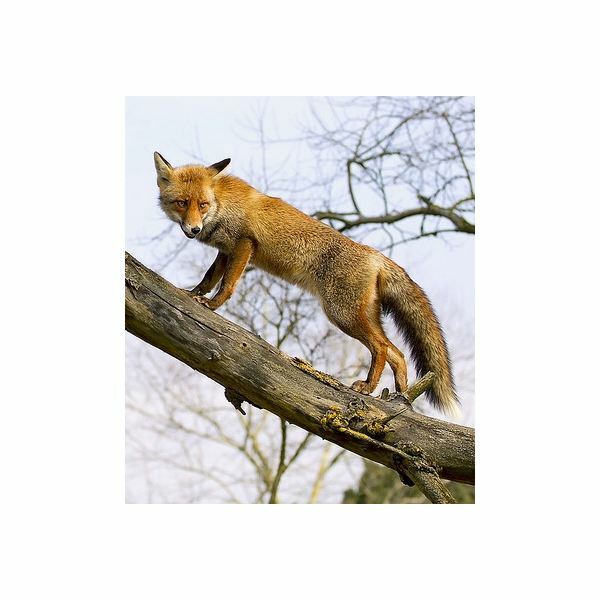 Red foxes live in most parts of the Northern Hemisphere and in isolated parts of the Southern Hemisphere. Like raccoons, they can be found in both rural and urban habitats, including grasslands, forests, deserts, mountains, farms, suburban areas and cities. Continue reading for more red fox interesting facts. Not all red foxes have rusty or orangish-red fur. Some have black, brown or silver fur. The length of an adult, including the head, body and tail, is approximately 30 to 54 inches (2 1/2 to 4 1/2 feet) and the weight is normally between 6 1/2 to 24 pounds. The tail is roughly one third of the total length and females are generally smaller than males. The tail, also called "brush", is bushy and is used to cover the body during cold weather. The muzzle is elongated with whiskers and the ears are large and pointed. The red fox is a clever and cunning animal. They are often seen walking around by themselves, but they normally live in a family group, including a male, a breeding female, her pups and sometimes those from previous litters and older family members. They have adapted to live in populated areas and are seldom aggressive toward humans. However, they can be a threat to domestic animals. Red foxes are mostly active during dusk, night and dawn, but they can be spotted during the day hours. Unlike most dogs, they are good climbers and can sometimes be seen standing or resting on low branches of trees during the day. They communicate with sound (barks, howls and whines), scent and visual cues. The red fox is not a picky eater. They are omnivorous, meaning they eat both animal and plant foods. Usually, more than 60 percent of their diet consists of mammals, such as rabbits, rodents, woodchucks and squirrels. The rest of their diet can consist of fruits, vegetables, nuts, birds, frogs, fish, turtles, eggs, worms, insects and dead animals. In areas around humans, they are known to eat chickens, pet rabbits and guinea pigs, pet food and garbage. Red foxes have excellent senses, including sight, smell and hearing, which makes them great hunters. They spend about five hours during the day searching for food. They will store the food they don't eat for their next meal by covering it with dirt, leaves or snow and marking it with urine. The female is pregnant for about 53 days and will normally have four to six babies. The pups weigh between 1.8 and 5.3 ounces at birth and are blind and helpless for about two weeks. Their fur is woolly and brown or gray in color and their noses are pink. The nose will turn black within a week and the fur of most will turn red in about one month. The pups will feed on their mother's milk for four to five weeks, then start to eat solid food (initially regurgitated by the mother). By eight weeks, they are fully weaned and are able to eat food provided by the parents. At three to five months of age, the pups become independent. At nine to 10 months of age, they are fully grown and sexually mature. Farmers used to kill foxes for eating their chickens. Today, many welcome their presence because they eat rodents and grasshoppers that damage their crops. The red fox can carry contagious diseases, including rabies, distemper and mange. Unlike dogs, a gray muzzle does not necessarily indicate an old fox. The sure way of knowing how old the fox is, is by looking at how worn down its teeth are. In the wild, their average life span is two to four years.